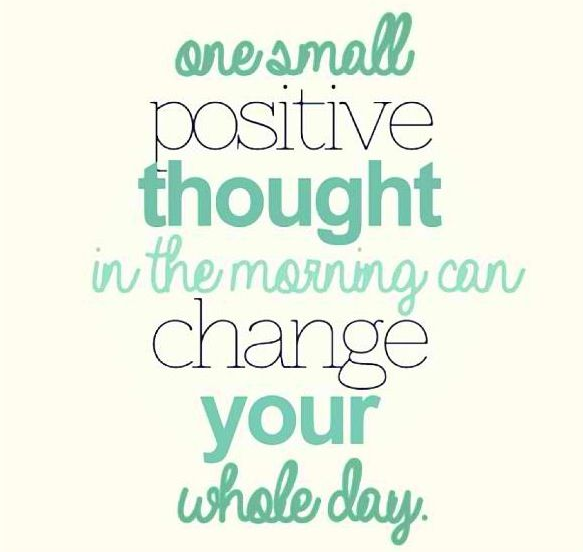 We all want to wake up Monday morning and start our week in a positive state of mind, however sometimes, that seems like an impossible feat. Positivity is heavily contagious and it is a proven fact that if you are more positive, people around you will become positive as well. The reality is positivity has to come from within and it’s something that has to be nurtured and constantly added to. It is a mindset change, not just a “for the moment” attitude adjustment. This applies not only to the workplace but to your personal life as well. Being that this is a workplace blog, how can we get more positive at work? 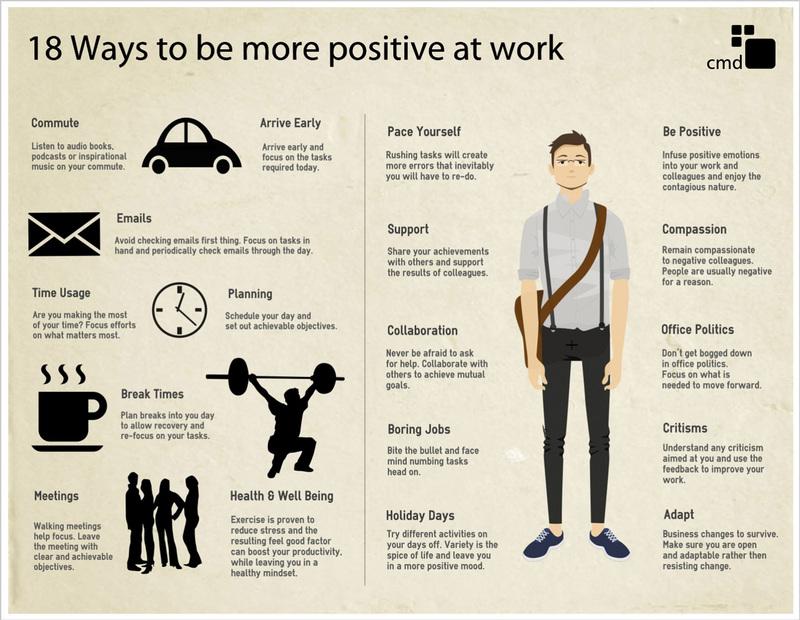 An infographic provided by cmd provides a few pointers in “18 Ways To Be More Positive At Work”. Use these wonderful pointers as a guide to get your work week started on the right foot!